Ekiti State Governor Ayodele Fayose and Hon. Kehinde Agboola have commenced an Education Support Project, to improve the standard of education in Ekiti State. The project is going to kick off from the Ekiti-North federal constituency 1. Through the initiative, the government has offered about 1000 copies of past question and answer booklets to candidates in the state, preparing for the 2016 West African Examination Council (WAEC) and other external exams. The past question booklets from 1988 till date were distributed to secondary schools in Oye and Ikole-Ekiti Local Government of the state. They have also been offered free coaching sessions, for all final year students, to further prepare them for the 2016 West African Examinations. The governor who was represented by a member of the House of Representative, for the Ekiti North Federal Constituency, Mr Kehinde Agboola, said the purpose of the education support project was to return the state to its no 1 position at the external exams. He further expressed optimism that the schools will immensely benefit from the gesture. Also the Special Adviser on education matters, who joined Mr Agboola in the programme, said the state government remained committed to improving the standard of education beyond the level it met it. 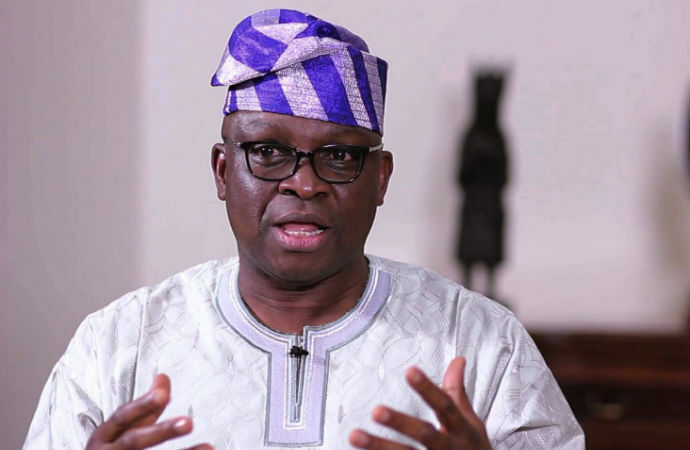 The Fayose-led administration is working assiduously to ensure that the state maintains its slogan, ‘Fountain of Knowledge’.